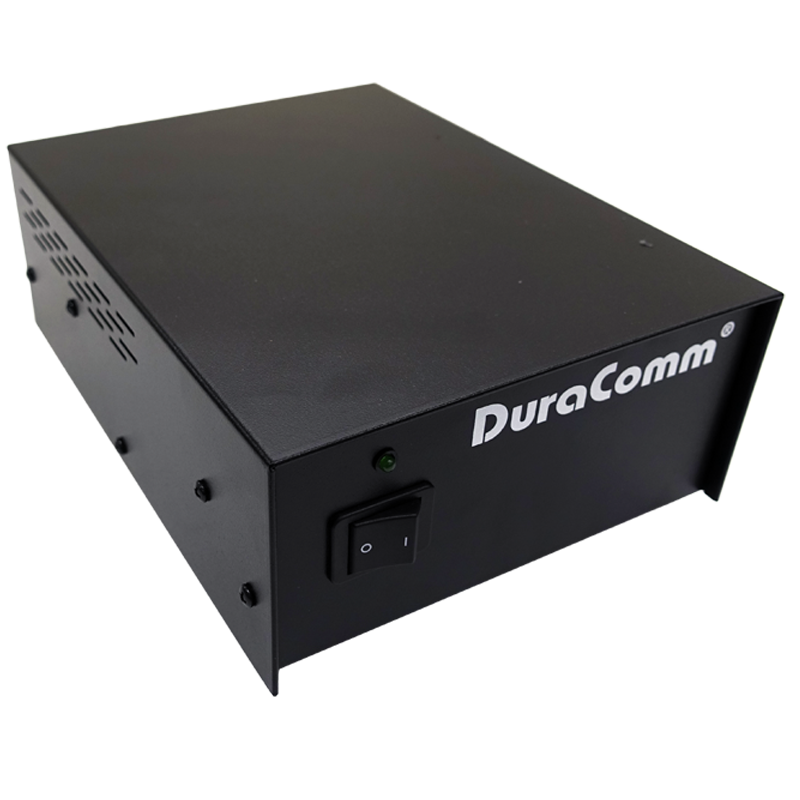 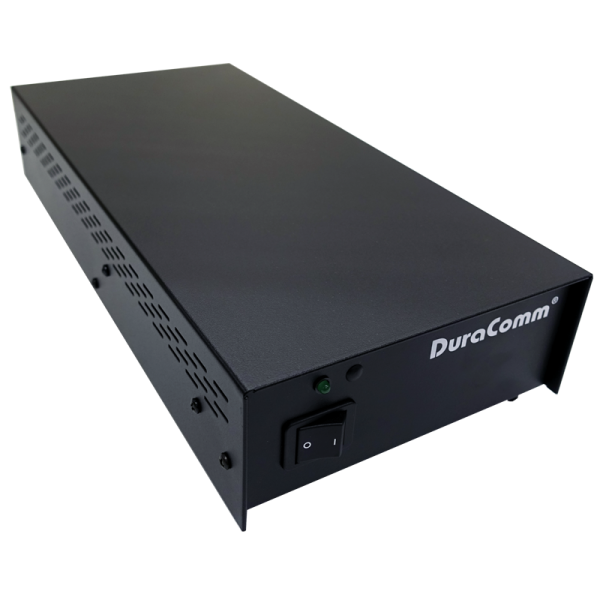 DuraComm’s LPB-24 power supply is pre-set to convert 90 to 264 volt 50/60 Hz AC power to low noise and ripple 27.5 volt DC power. 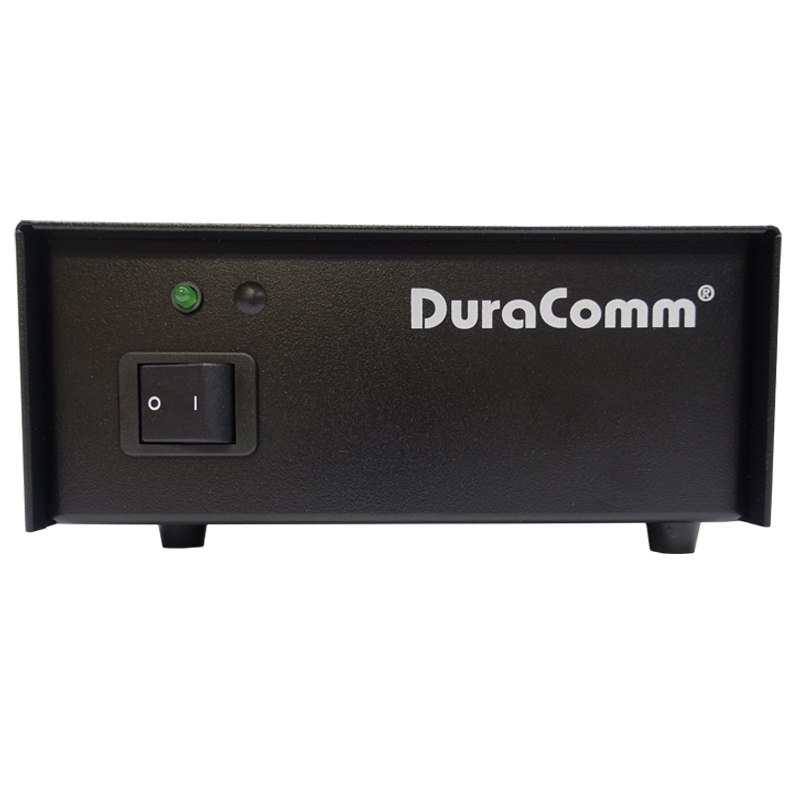 The AC input is auto-ranging and can be used without any changes. 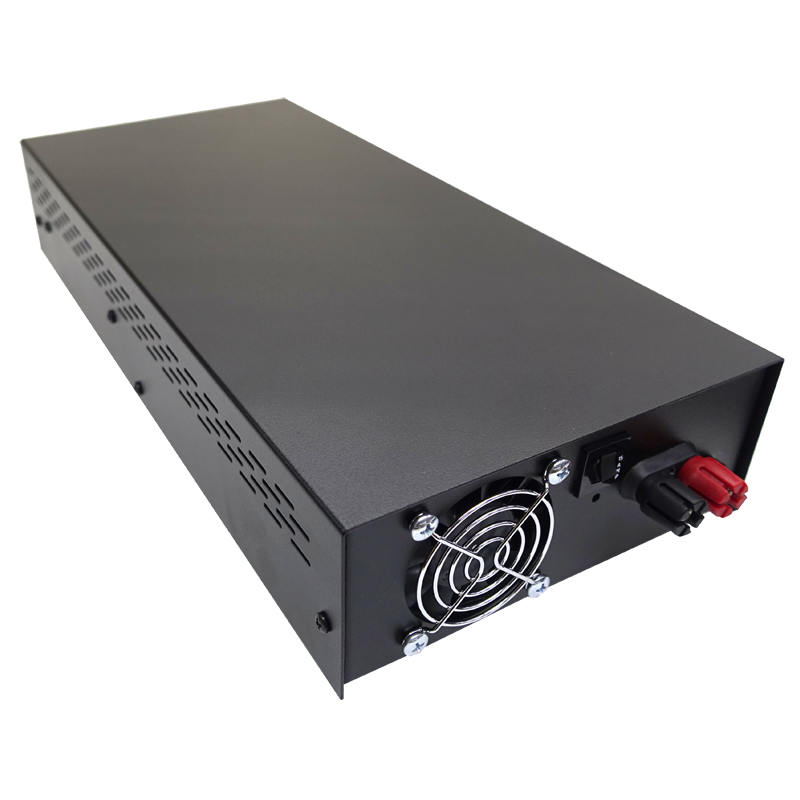 The power supply also contains a built-in, replaceable sealed lead acid battery that automatically takes over should AC power be disrupted. 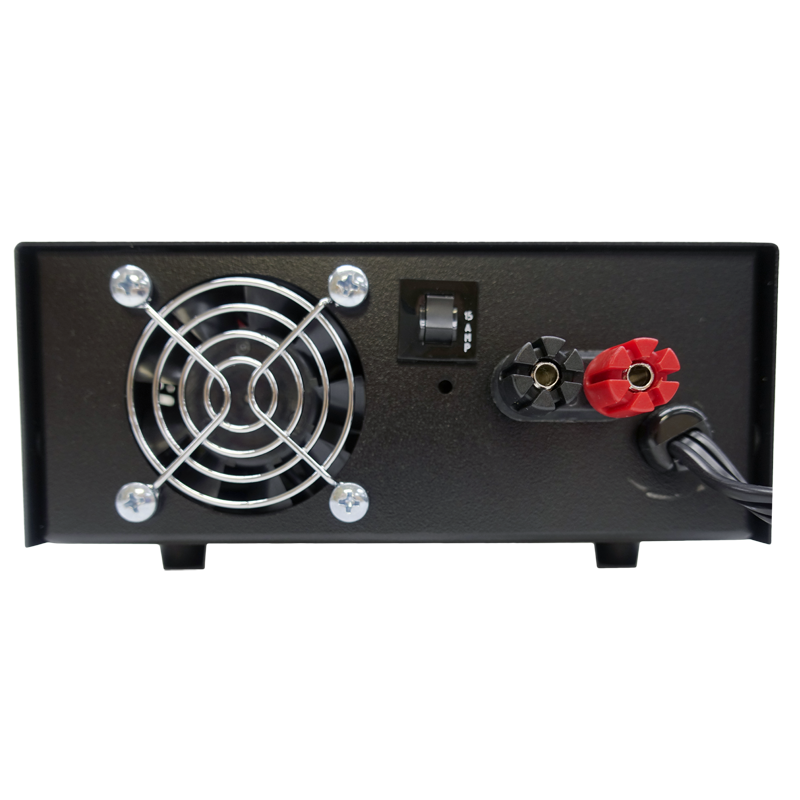 The DC output operating voltage from the internal battery and AC charger circuitry is delivered to the red and black jacks located on the rear panel. 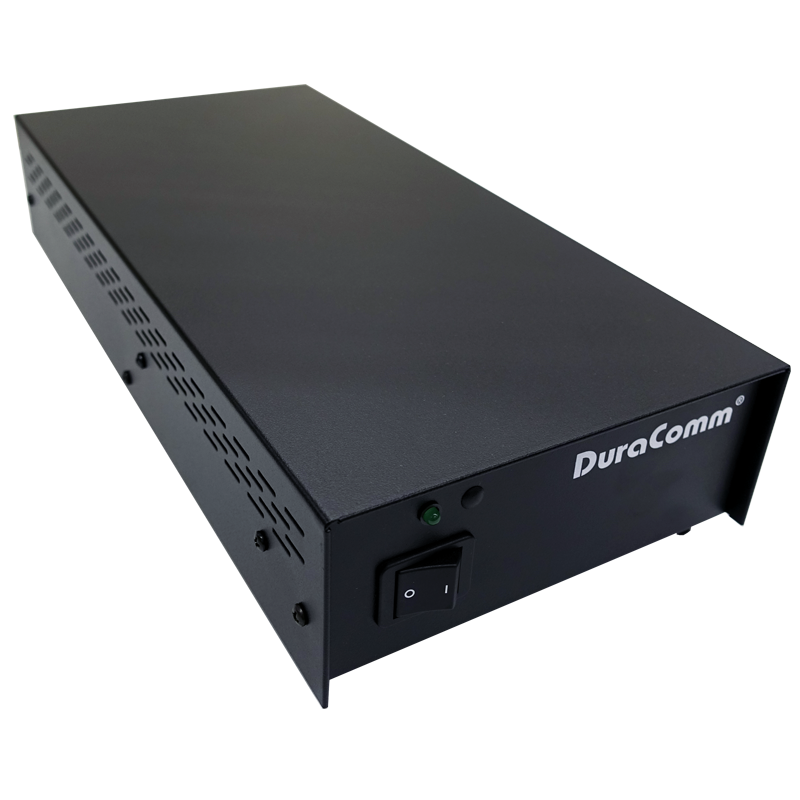 The power supply DC output is protected against inadvertent shorts and overloads by a thermal circuit breaker.